If you live north of the Carolinas then you need to get to your patch, to your garden, to your orchard, to your neighbor’s yard–get out there and pick them pawpaws! Pawpaws are ripe in the Shenandoah Valley–have been for a little while. But apparently the bears have moved on to acorns, according to a ranger there. Near Manassas, Virginia, the pawpaws are ripe. A gentleman picked one last Sunday and had it for breakfast this Tuesday. 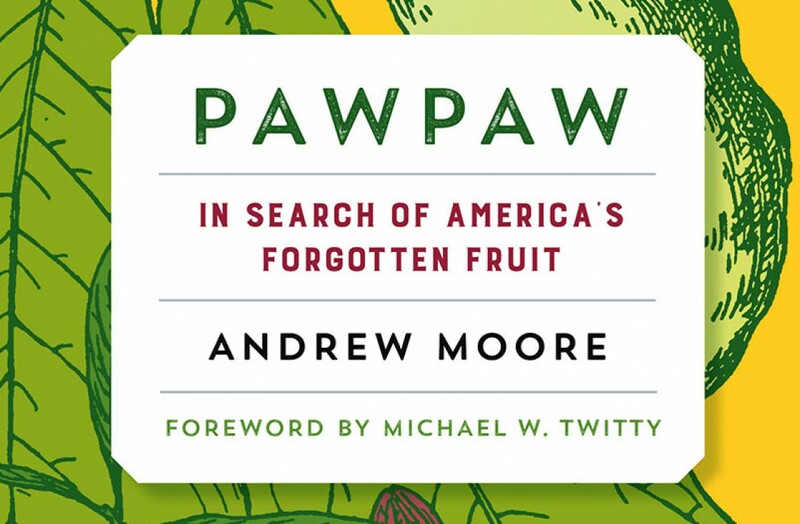 Pawpaws are ripe in Harpers Ferry, West Virginia; and near Berryville, Virginia. Garden pawpaws in the southern Allegheny Valley of southwest Pennsylvania are ripe. Dropping daily. In one particular garden, the trees had lost flowers to a late frost. But as has been reported elsewhere, the trees bloomed again, and fruit set is normal. This weekend is the Ohio Pawpaw Festival. And so the pawpaws must be ripe in southern Ohio. I’ve just (just!) received word that pawpaws outside Ann Arbor, Michigan, are beginning to drop. Thanks for your question. Elevation–specifically our Appalachian or Allegheny Plateau elevations–have not posed, and don’t seem to pose, problems for pawpaw (despite the fact that you find them growing at lower elevations in the wild). Many trees thrive in Pittsburgh (where I live) and produce great fruit. I’ve seen them, oddly enough, growing at very high elevations in West Virginia, and elsewhere. They were likely brought to those ridge-top sites by people, but they’re growing well there. And further anecdotal evidence, folks are getting pawpaws to fruit in the high elevations of Utah! So plant away! Hi Andrew. I have been reading your book and really enjoying the history, breeding information, and your paw paw hunting experiences in different parts of the country. Thank you! I recently moved down to north Georgia(about an hour south of Chatanooga). I have begun to look for paw paws in the wild and come across a number of sites with small trees, but only a few sites with small patches of mature trees with a few pieces of fruit. They are beginning to ripen down here. Do you know of any areas in the Georgia, Tennessee, Alabama, or Carolinas that i can forage for paw paws? Or perhaps someone I can talk with?